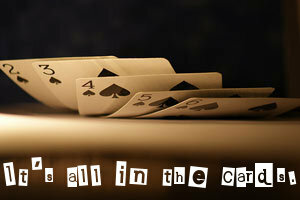 If you suspect opponents to be bluffing when it comes to Hold'em, what would be the lowest hand you could call with? When talking about big blinds against suspected blind steals, this might not be as high as you may think. I was recently the big blind in a Hold’em game of $20-$40 with a very aggressive player seated two seats over on my right. Everybody folded to him right on the button when he raised to $40. It was my turn. A lot has been said about calling or raising in this case. When confronted with suspected blind steals, it may sometimes be necessary to selectively defend the blind you set or come off as easy and lose to aggressive players. However, his forceful chip thrusting told me not much would ne needed to outplay him once the flop was over. So I called. The flop was nothing: 3d 8c 5h. Even though I had no pair, I took betting out into consideration and going in for a steal, but nothing convinced me yet that my opponent had no real hand. Before letting me check, my opponent went straight for his chips again. His eagerness was somehow telling me that he was completely bluffing. I then made my decisions based only on my instincts and decided to play until the river. True to form, the aggressive player bet all the way to the pot. If I was right, this continued bluffing would do me good. When you have the time, and the casino bug hits you, you do not have to travel to a casino any more. You can just open your computer, log into your favorite online casino, and play all your favorite casino games. So go ahead and get started; you never know if you are the next big winner. At the turn, the board got a pair, giving me several great options. In regular poker situations, a check-raise or bet after a board pair is seen as a powerful play. But I was under the impression that my opponent would keep betting anyway, so I just kept calling. The river gave a blank. So I checked – and waited for him to make another bet. If he bet again, it would really mean he was bluffing as a final desperate act. He did. I called. He then sadly turned up his Q-10 and I announced my King high – which was still quite weak. All the other table players were in shock as I took the pot. Naturally, my instincts could have been wrong, making my K-9 bluff look idiotic against a real hand and I would have come across as weak. So now there are questions to be asked. What is the long-term value of calling these suspected steal attempts with a weak hand, based only on mathematical principles? How low a hand would ensure real positive expectations? If I had a Q-2 or Q-J or even a J-10, would calling be smart? Playable hands in such situations might surprise you, though they only apply assuming the opponent is very aggressive and raises initially while running a bluff with two cards. When talking about giving and taking advice at poker, each situation is one-of-a-kind. No situations exist where it would be ideal to make blind defenses. In the majority of cases, whenever bets are raised pre-flop, it would be right to give up blinds and simply wait for better opportunities later on because money is put at risk. However, from my personal story and based on your personal playing experience, it should be easy to recognize signs of blind steals, as well as to run bluffs. More sophistication would be needed to call down such bluffs with the right decisions, though, based on great instincts matched with smart mathematical principles.